You may remember that a few months ago RANLife began a new fundraising project for the troops overseas called, Operation: Stand Behind Our Heroes. For the past two months we have been collecting items in our office to create care packages to send to our troops overseas in Afghanistan. Yesterday, we finally gathered up and tallied all of the items that we have collected and were absolutely amazed by how many care packages we were able to put together, all from items that our employees and local community have donated. We want to give a big thanks to all of our employees and the local community that participated in this project with RANLife. When we began this project we had a goal to send over at least 20 full care packages and we easily succeeded that number. We would also like to give a big thanks to our veterans, past and current, for fighting for our freedom and to keep us safe. 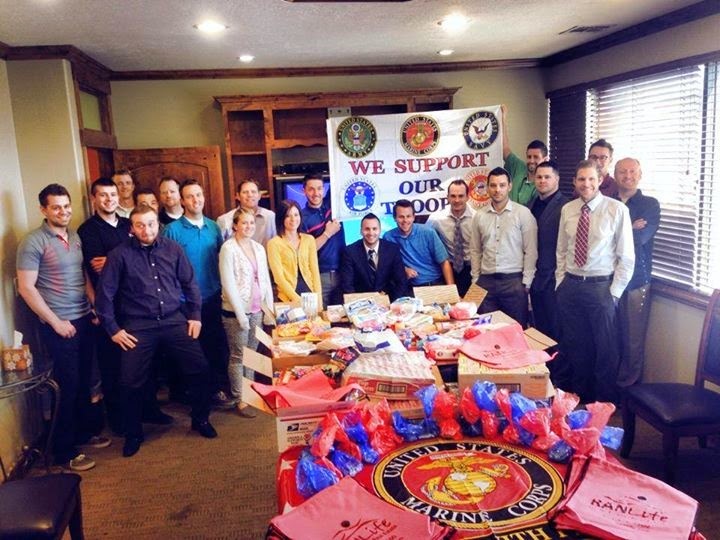 Thought these care packages are not much, we hope they help provide the troops with a sense of "home" away from home. Being away from your home and family for such a long time is a very hard thing and we commend our troops for doing so. Operation: Stand Behind our Heroes is a project that RANLife plans to continue for years to come. Let's all stand together and help SUPPORT OUR TROOPS!